This "En-Tout-Cas" cinder track was opened on 31st Aug 1970. 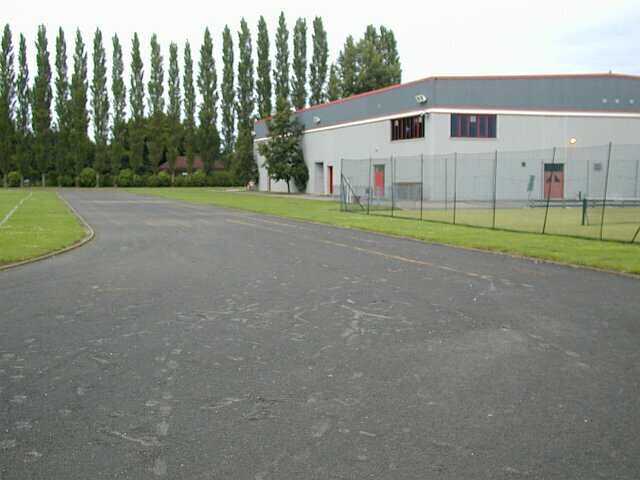 It was relayed and realigned at roughly right-angles to the original track in 1987 following construction of the sports hall alongside the current home straight. The present orientation of the track is roughly north-south and it is in very good condition although most of the field-event facilites are in poor condition. In July 2001, there were lane markings for the home straight only. This was the venue of the Dewhurst Games in the late 1970s and early 1980s and the Lincolnshire Schools Multi-events in 1990.